What are prospective financial statements? 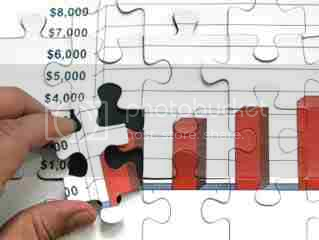 Prospective financial statements encompass financial forecasts and financial projections. Pro forma financial statements and partial presentations are specifically excluded from this category. Financial forecasts are prospective financial statements that present, to the best of the responsible party’s knowledge and belief, an entity’s expected financial position, results of operations, and cash flows. They are based on assumptions about conditions actually expected to exist and the course of action expected to be taken. Financial projections are prospective financial statements that present, to the best of the responsible party’s knowledge and belief, an entity’s expected financial position, results of operations, and cash flows. They are based on assumptions about conditions expected to exist and the course of action expected to be taken, given one or more hypothetical (i.e., “what-if”) assumptions. Responsible parties are those who are responsible for the underlying assumptions. While the responsible party is usually management, it may be a third party. Example: If a client is negotiating with a bank for a large loan, the bank may stipulate the assumptions to be used. Accordingly, in this case, the bank would represent the responsible party. This post summarizes the prospective financial statements from the accountant’s perspective; the use of the prospective financial statements, accountant’s reponsibilities, minimum items presented on the report, compilation and examination procedures, and agreed-upon procedures on the prospective financial statements. When an entity’s prospective financial statements are for general use, only a financial forecast is to be presented. “General use” means that the statements will be used by persons not negotiating directly with the responsible party. Example: In a public offering of a tax shelter interest. When an entity’s prospective financial statements are for limited use, either a financial forecast or a financial projection may be presented. “Limited use” refers to situations where the statements are to be used by the responsible party alone or by the responsible party and those parties negotiating directly with the responsible party. Example: If a client is negotiating directly with a bank, either a forecast or a projection is appropriate. Inquire of the responsible party as to the underlying assumptions developed. Compile or obtain a list of the underlying assumptions and consider the possibility of obvious omissions or inconsistencies. Verify the mathematical accuracy of the assumptions. Read the prospective financial statements in order to identify departures from AICPA presentation guidelines. Obtain a client representation letter in order to confirm that the responsible party acknowledges its responsibility for the prospective statements (including the underlying assumptions). An accountant is precluded from compiling forecasts and projections that do not present the summary of significant assumptions. Furthermore, the practitioner should not compile a projection that fails to identify the underlying hypothetical assumptions or describe the limitations on the utility of the projection. Step-1. Assess inherent and control risk as well as limit his or her detection risk. Step-2. Consider the sufficiency of external sources (such as government and industry publications) and internal sources (such as management-prepared budgets) of information supporting the underlying assumptions. Step-3. Determine the consistency of the assumptions and the sources from which they are predicated. Step-4. Determine the consistency of the assumptions themselves. Step-5. Determine the reliability and consistency of the historical financial information used. Does the presentation reflect the underlying assumptions? Are the assumptions mathematically accurate? Do the assumptions reflect an internally consistent pattern? Do the accounting principles in use reflect those expected to be in effect in the prospective period? Are the AICPA presentation guidelines followed? Is there adequate disclosure of the assumptions? Step-7. Obtain a client representation letter to confirm that the responsible party acknowledges its responsibility for the presentation of the prospective financial statements and the underlying assumptions. A statement that the examination was performed in accordance with attestation standards established by the AICPA and, accordingly, included such procedures as the practitioner considered necessary in the circumstances. A statement that the practitioner believes that the examination provides a reasonable basis for his or her opinion. An opinion as to whether the underlying assumptions provide a reasonable basis for the prospective financial statements. Range Of Values – When prospective financial statements contain a range of values, the report should contain an additional paragraph clearly indicating this. The explanatory paragraph should be similar to the one added to compilation reports on prospective financial statements containing a range of values. Departure From AICPA Presentation Guidelines – When the prospective financial statements contain a departure from the AICPA presentation guidelines, issue either an “except for” qualified opinion or an adverse opinion. An “except for” qualified opinion should contain an explanatory middle paragraph which describes the departure. The opinion paragraph should specifically refer to the explanatory middle paragraph. Significant Assumption Does Not Provide Reasonable Basis – When the accountant believes that one or more significant assumptions (including hypothetical assumptions) do not provide a reasonable basis for the prospective financial statements, the issuance of an adverse opinion is justified. Scope Limitation – When the accountant is unable to perform one or more examination procedures considered necessary for the particular engagement, a disclaimer of an opinion should be expressed. The disclaimer should clearly describe the scope limitation in a separate explanatory paragraph. Emphasis Of A Matter – The accountant may emphasize a matter in a separate paragraph while simultaneously expressing an unqualified opinion. This is accomplished in a manner similar to emphasizing a matter already disclosed in historical financial statements. Division Of Responsibility – When another auditor is involved and the principal auditor wishes to divide the responsibility for the overall examination report, the principal auditor should modify the report in a manner similar to the modifications pertinent to historical financial statements. A restriction on the use of the report because it is generally intended to be used solely by the specified parties. Related Topics:Accountant’s Report Of Result Of Agreed-Upon ProcedureAccountant’s Report On Compiled Prospective StatementsAccountant’s Report On The Examination Reports. ModificAgreed-Upon ProceduresCompilation Of Prospective Financial StatementsCompilation Procedures For Prospective Financial StatemDeparture From AICPA Presentation GuidelinesDivision Of ResponsibilityEmphasis Of A MatterEngagements Involving Prospective Financial StatementsExamination Of Prospective StatementsFinancial ForecastsFinancial ProjectionsMinimum Items Included In Prospective Financial StatemePro Forma Financial StatementsProcedures For Examination Of Prospective StatementsProspective Financial StatementsRange Of ValuesResponsibilities Of Accountant On Prospective FinancialScope LimitationSignificant Assumption Does Not Provide Reasonable BasiStatement On Standards For Attestation EngagementsThe Use Of Prospective Financial StatementsWhen Agreed-Upon Procedures Permitted?